I get upset about the idea of a book being “too quiet” because of seemingly small stakes. That internal journey is such a part of being a teenager. That’s your audience. Yes fight The Citadel in the Battle of the Wars, but also maybe get books about panicking over first kisses. 1. Fighting for "quiet" books with personal stakes. 2. Yelling about the sequels by @RantingOwl and @cindypon. Support these series! 3. Asking for more "fluffy" contemporary stories with marginalized characters. Every time I type “bbs” instead of “babies” I’m reminded how badly I want an early 90’s YA novel with a teen running a bulletin board system (BBS) on their computer. Also American Panda by @gloriacchao is such a perfect book, just thinking about it makes me happy. Up late playing Far Cry so this is your annual reminder that I want some novels about cults in my inbox. My wife is watching her reality shows (right now Temptation Island is on), and I so want to read a literary novel with reality TV in it. Oh! 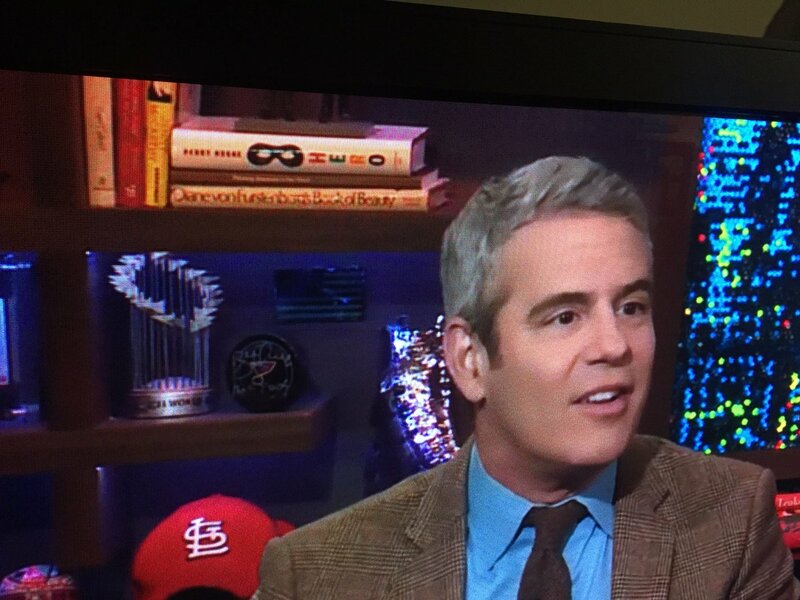 @BeautyBritches is watching @Andy Cohen’s show and he has my favorite YA novel of all time on his bookshelf! @DelilahSDawson I’d love to see more brown people! I’m not sure I’ve ever seen a South Asian person on screen or page in Star Wars, other than Riz Ahmed! So a brown girl would be so cool! More mental illness rep would be great too. This is also eternally on my #MSWL for YA and adult sci-fi and fantasy, please. Brown kids in space. Seeing a lot of queries from folks who love @mikechenwriter, and that fills my heart. Oh wow, check out @slaughterwrites over on @coolhunting, talking about ARE YOU AFRAID OF THE DARK RUM. Half the afternoon has been spent ranting with @far_ah_way about wanting more YA that feels like Mass Effect and @ashposton’s Heart of Iron. Shout to all the writers pitching me survivalist, doomsday prepper, and cult books. #PitMad was super fun yesterday! Remember, you can still query me (and most other agents!) via the ol' fashioned way... our inboxes! And good morning! Way too many fabulous books out today. Run to your local indie and scoop up a book by @brownbookworm @andthisjustin @ladybookmad @LJSilverman1 @lilliamr @laurampohl @nikkigrey_ or @dianarwallach! Whew that's a lot of greatness in one day. Opposite of Always by @andthisjustin is just this brilliant, genre-blend of a book that captured my whole heart. Definitely one of my favorites of 2019. Yes, I'm saying that in March. Give me the Nora Ephron quality swoons and smiles from @LaurenEMorrill's books mashed together with the flawless SFF world building from @SanguMandanna and @rhodabee. It'll be weird. A marketing nightmare. Send it to me.